Cacti and succulents are the easiest plants to care for. All they need is a fair amount of sunlight and moderate watering! These plants are perfect for anyone new to plant care and those who don't have time to tend to potted plants on a daily basis. 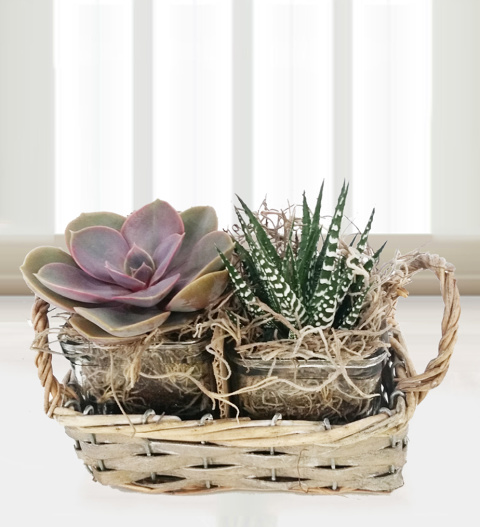 Our professional florists have set each of the two cacti in its own glass jar and a charming wooden holder to make for the perfect display piece! This potted plant is great for any occasion and available for UK next day delivery. Chocolates may contain nuts.